Catalyst, a company we have reviewed products for as recent as February, just released a new line of Apple related products on the 10th at Pepcom Digital Experience in San Francisco. We got a chance to get a peek at them, and we will do a round-up briefing on each one in this article. 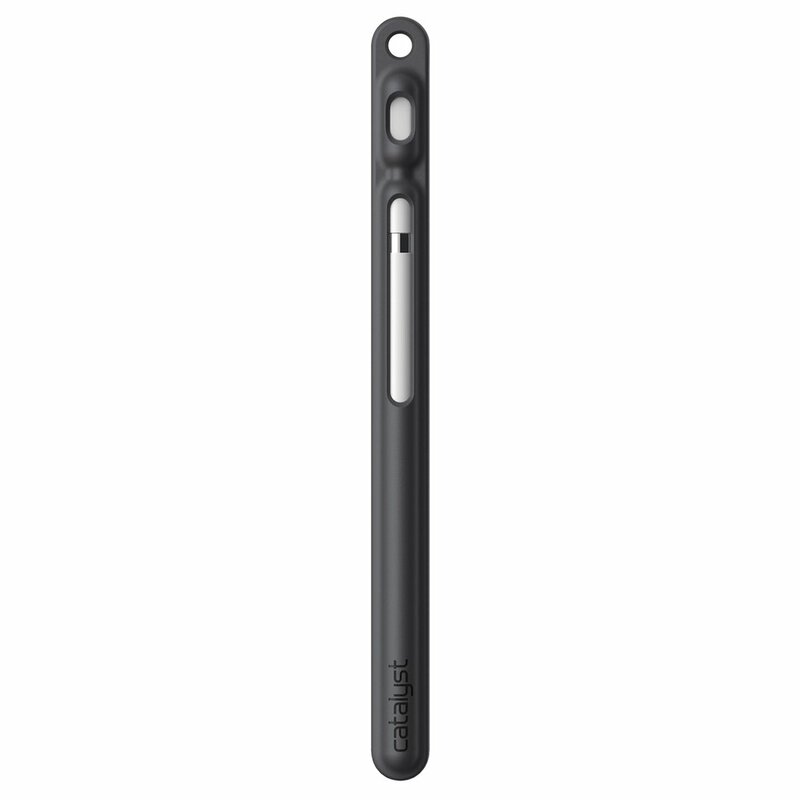 This rubberized case, available in this slate gray color, will hold your Apple Pencil and adapter, and keep it protected from drops and scratches. The rubberized case prevents it from sliding off your desk. If you happen to drop it, however, it is rated to protect from falls up to 9.9 ft. A small carabiner clip is also included to help you keep track of it. A little bending motion makes your pencil and adapter easy to pop out of their protective pockets. This product is available on the Catalyst website for $21.99. Similar to the previous product, this case also has the hypoallergenic silicone material- this time in a triangular shape that lends itself to a comfortable grip. You don’t need to pop out your pencil, as the tip is open ended, but it does have another pocket for the adapter, and those clip together with an included carabiner to keep everything together. 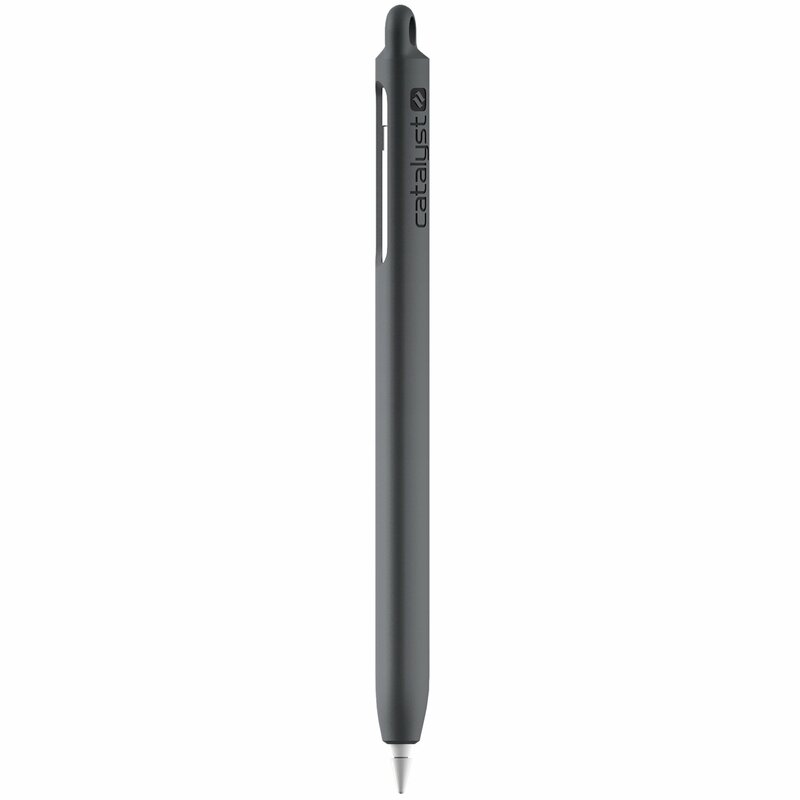 The grip case is also MIL STD tested to 810G to protect the pencil in the unlikely event of a drop. $27.99 will buy you this case here. Now on to protection for those AirPods. This small, innovative case won an honoree award for innovation at CES this year. 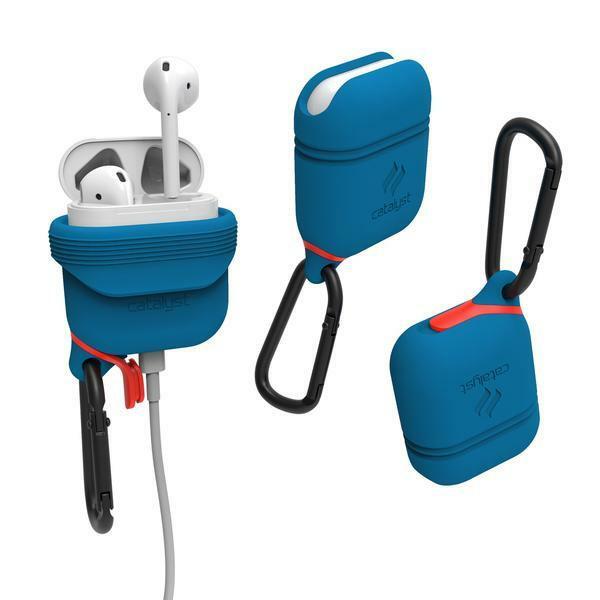 It’s wonderful if you are around water, as it is waterproof up to 3.3 ft, and drop proof to 4 ft. Also includes a carabiner, so you can carry it with you easily. You can also charge them inside the case with the port for the lightning adapter. A video is good to demonstrate just what this can do. This case isn’t exactly new, but it was released in a new color of coral, which is what we were sent. It also comes in Blueridge/Sunset, Frost White, Slate Gray, Deep Plum, Army Green, and even Glow in the Dark! If you want to get one for yourself, they are $29.99. The Series 2 and Series 3 case available in 42 mm and 38 mm is another new product. This one is not waterproof like the other Catalyst cases, but is drop proof up to 9.9 ft with it’s impact truss system. It features 2 layer protection, and a bezel to protect the screen. It also has Catalyst’s patented digital crown button to protect the digital crown button on your watch. It’s easy to install and remove. 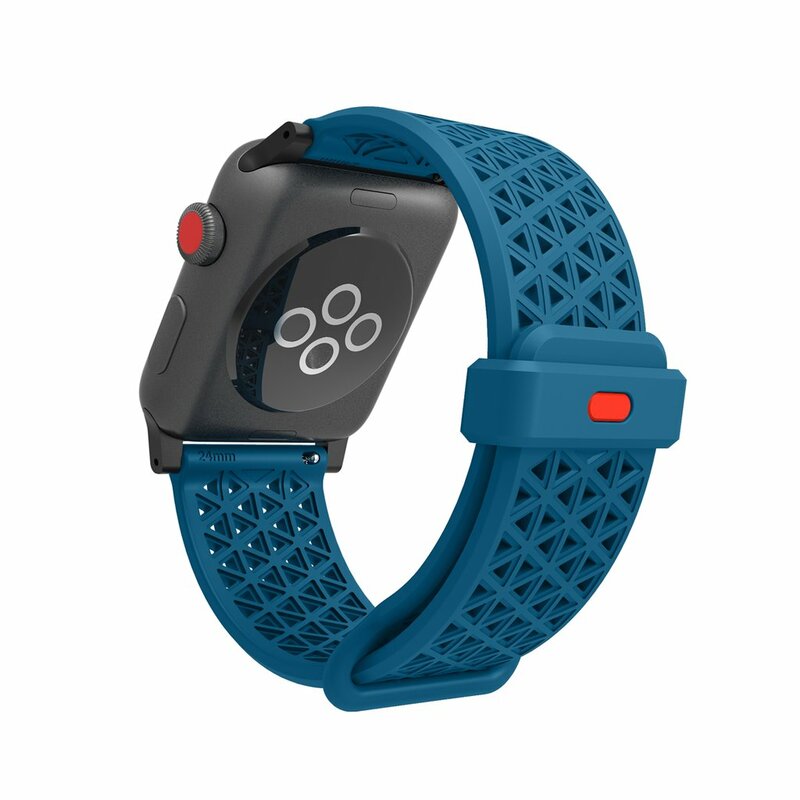 This band is lightweight(18 grams) and breathable- with it’s honeycomb-like patterned holes. 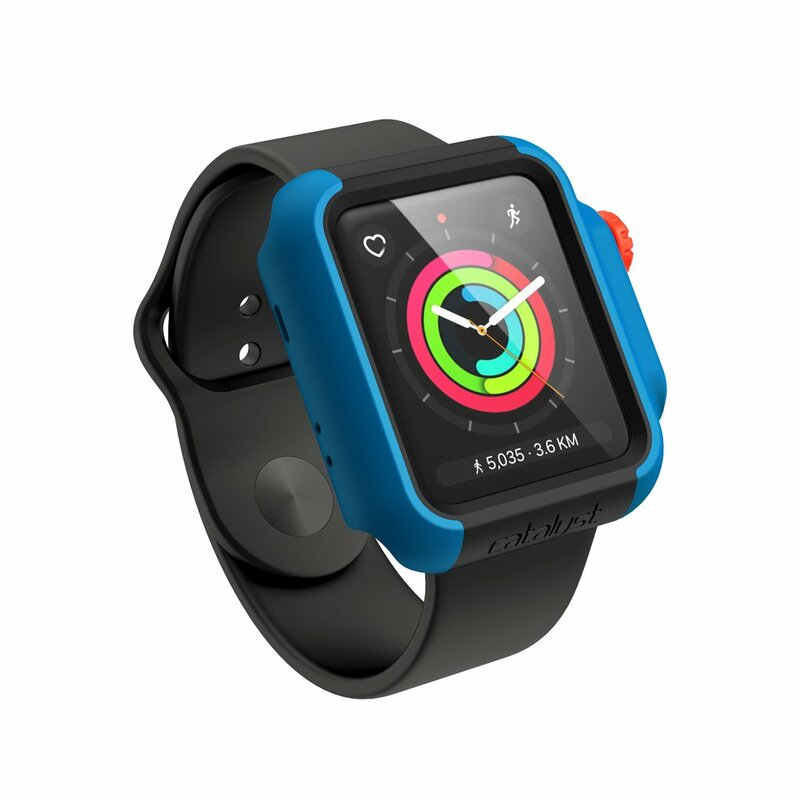 It’s available for the 42 mm and 38 mm Apple Watch Series 1, 2 and 3- and compatible with the Catalyst case.It comes in the same colors as the cases, so it works great with whatever is your style of protection. These bands can be purchased for $39.99 on the Catalyst site, too. Our thanks to Catalyst for sending us these products to review free of charge in exchange for our unbiased and honest analysis. No other compensation was provided.